See also the previous version of this document [on Google Drive](https://docs.google.com/document/d/1Qh0KIQpy3Ob070BKHNA82fYGL0atlGSfmKCKJpS-QH8/edit?usp=sharing). are adopting the Bitcoin model in order to succeed. chain and issue their own tokens (OpenGarden). transparency, resiliency, and distributed nature. 1. The application must be completely [open-source](https://en.wikipedia.org/wiki/Open_source), it must operate autonomously, with no entity controlling the majority of its tokens, and its data and records of operation must be cryptographically stored in a public, decentralized [block chain](https://en.bitcoin.it/wiki/Block_chain). 2. The application must generate tokens according to a standard algorithm or set of criteria and possibly distribute some or all of its tokens at the beginning of its operation. These tokens must be necessary for the use of the application and any contribution from users should be rewarded by payment in the application’s tokens. 3. The application may adapt its protocol in response to proposed improvements and market feedback but all changes must be decided by majority consensus of its users. 1. All Bitcoin software applications are open-source, no entity (government, company, or organization) controls Bitcoin and all records related to the use of Bitcoin are open and public. 2. Bitcoin generates its tokens, the bitcoins, with a predetermined algorithm that cannot be changed, and those tokens are necessary for Bitcoin to function. Bitcoin miners are rewarded with bitcoins for their contributions in securing the Bitcoin network. 3. All changes to Bitcoin must be approved by a majority consensus of its users through the proof-of-work mechanism. **Type I** decentralized applications have their own block chain. but Litecoin and other “alt-coins” are of the same type. Master Protocol is an example of a type II decentralized application. be an example of a type III decentralized application. II DApps and even more type III DApps. several excellent open-source projects that leverage type I DApps. For a complete analysis about why tokens associated with DApps, and the networks powering the DApps are valuable, [see this paper](https://docs.google.com/document/d/1Qh0KIQpy3Ob070BKHNA82fYGL0atlGSfmKCKJpS-QH8/edit). Master Protocol is based on the POS mechanism. tokens: mining, fund-raising and development. applications that promoted the development of the Master Protocol. released and the initial transaction block was created. fund-raising address and a wallet script were publicly released. by which bounties can be awarded. contributions, and the ownership of the DApp is distributed further. development of the DApp in the areas that they have an expertise. 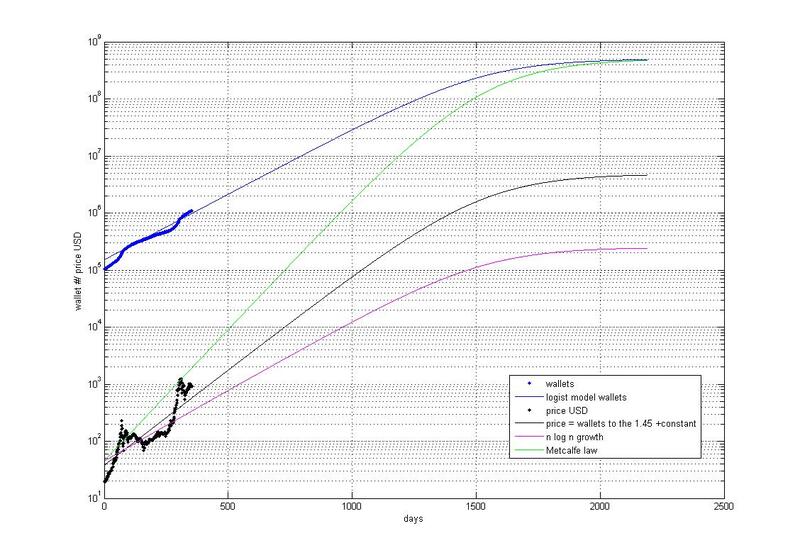 to the Bitcoin network, the market began to value bitcoins more highly. original ownership stake has been diluted. their use in the DApp, it is hard to determine their actual value. organization that will never receive financial benefits from the DApp. 1. The application must be completely open-source, it must operate autonomously, with no entity controlling the majority of its tokens, and its data and records of operation must be cryptographically stored in a public, decentralized block chain. 1. Crowd-sale tokens: An initial one-time sale of tokens is a common way to initially fund a DApp. The funds raised from such a crowd-sale should be controlled by an entity that is independent of the founders, commonly a Foundation. 2. Developer tokens: A portion of the tokens can be set aside for developers working on the project. As the market sets a valuation for the project, the developer tokens will gain value, attracting additional contributors to the project. 3. Premined tokens: It is best if no tokens are premined because most communities and investors are negatively predisposed to it. A premine may be successful only if a meaningful reason is provided by the founders. 4. Minable tokens: Distribution of tokens by mining incentivizes the community to contribute resources to the DApp. In Bitcoin for example, there is a block reward every ten minutes, that incentivizes miners to provide hashing power to Bitcoin. Similarly, DApps need to determine how to incentivize the network to contribute the required resource as this is the most important decision about the token distribution. 2. Gain community engagement by releasing the plan and by revising it based on feedback. 3. Set a date when the community can contribute to the crowd-sale. 4. Sell the initial tokens based on your whitepaper and establish a non-profit to oversee the development of the DApp. 5. Begin executing your idea while the non-profit plans future development. data storage DApp, amount of storage is measurable. option to prune those data. - MaidSafe provides a “proof of resource” mechanism and decentralized data structure for storing files privately or publicly in the cloud. - StorJ provides a front-end, Dropbox-like cloud storage of files utilizing MaidSafe and other systems in the back-end. - Ethereum provides consensus-based scripting and computing resources. - OpenGarden provides mesh network-based Internet services. - Scalion provides an incentivized version of the Tor Network with nodes serving as Tor relays and exits. - Shared Miles provides a proof of transportation mechanism that allows for an open source transportation standard. - BlockAuth provides a multi signature OAuth-style system for sharing private data with third parties. - API Protocol provides an open source standard for hosting, normalizing, and sharing API data. currently active in the space. - [A comparison between Metcalfe’s, Zipf’s and Bitcoin’s law](https://i.imgur.com/AWEfTjZ.jpg). 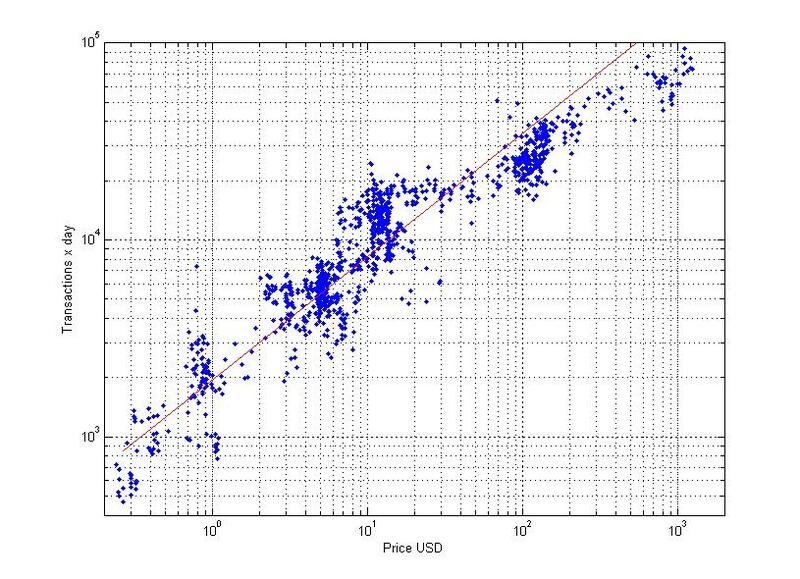 “In fact there is a strong correlation (R2 = 0.82) between number of users and price. All these things are not understood by too many people, unfortunately. Also the price doesn’t grow linearly with the number of users but instead with the power of 1.45 of the number of users. That is nice because for the price to increase 1000 times you need only 140 times the number of users of today. We have about 2 million BTC users.” <https://i.imgur.com/CiOxeBY.jpg>. Credit for images and quote [gsantostasi](http://www.reddit.com/r/Bitcoin/comments/21pujs/bitcoin_compared_with_metcalfes_and_zipfs_law/). - [Correlation between the value of a DApp and Metcalfe’s Law](http://imgur.com/RDPz54G). Credit for image [Peter R](https://bitcointalk.org/index.php?topic=400235.msg5882283#msg5882283). simplexity, so that it could be used for human-computer interfaces. zygotic entity, and *zybit*, the zygotic bit. “Everything that can be decentralized, will be decentralized”.